When I first decided to get serious about mixing cocktails, I wanted to learn about the ingredients, not only the recipes. There opened a wildly bright world of liqueurs and spirits for me to squint blearily at, unable to focus upon and intimidatingly taking the first step in any direction. I didn’t know what things tasted like, turning to reading summaries of their flavors, both online and from books. Sometimes recipes of were closely guarded trade secrets, or were so extensive that one could not possible comprehend imagining the scope of it all. When it genuinely came down to it – there was no tangible way for me to explore what the flavors were unless I tasted them for myself. Something else that seemed overwhelming was people’s reviews, their ability to separate flavors and aromas among many. I simply do not have that ability to do that, or maybe I don’t want to, yet gratefully do not feel even the slightest bit of guilt because of it. That is not the way I enjoy drinking, nor see my hobby progressing to that level. Not everything comes in a small bottle, making going to a good bartender most helpful, whether by tasting a well made drink or advice. Just remember to appreciate their extra effort in helping you (that goes with any barkeep who spends a lot of effort). So when I try a rum for the first time, I’m not seeing what it tastes like according to other people, only me. Some people taste rum straight, some see more insight with a single piece of ice, or a few drops of water (and the same goes for all the spirits). However, I am not like any of those people, not only with tasting, but drinking neat as a general rule (I feel not typing “neatly” is a grammatical error). My first time with a rum I want to demonstrate the level playing field for all rums, not breaking them up into categories, but try each rum the same way. I believe rum goes with lime. It’s like they were made for each other. 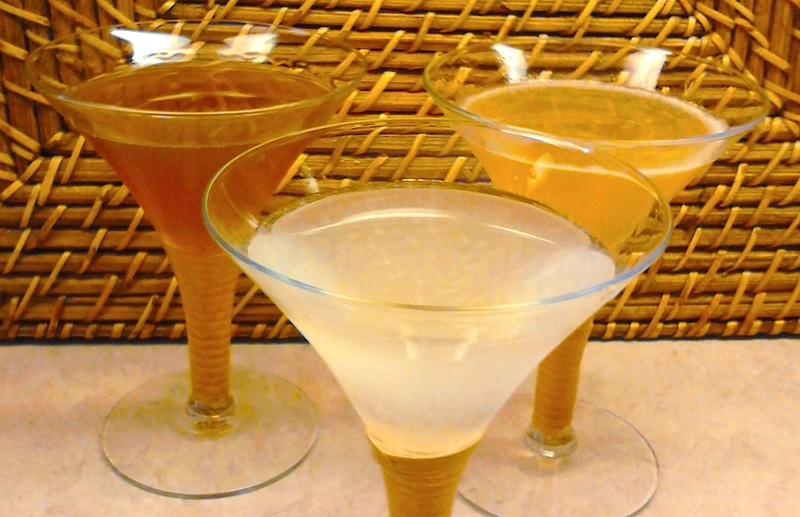 I mix twice as much rum as mixer, meaning lime juice and syrup, which is a daiquiri. I learned there are exceptions to this – really good rums, aged rums so good they are insulted by citrus and simple syrup. That’s right, I felt the rum’s indignation towards me. It was pretty embarrassing. Not all top shelf rums are in this category, in fact, most top shelf rums are dynamite mixed with other rums. It’s the behind-the-counter-way-up-out-of-reach-and-all-dusty rums – those rums should probably be drank neat, or with an ice-cube, and slowly…enjoy them slowly. And since I decided to write about this topic, I suddenly started feeling thirsty for a Papa Doble, or AKA the Hemingway Daiquiri. I enjoy grapefruit. I think grapefruit and lime play well together, producing a unique satisfaction when combined. 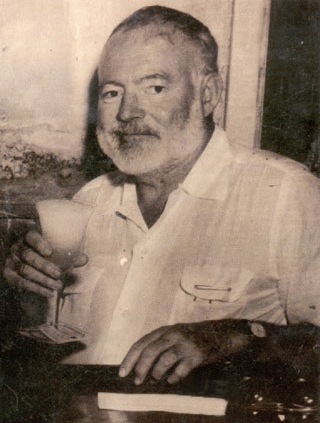 I’ve heard many sources say Ernest Hemingway did not drink sweet drinks due to diabetes, and for this reason kept syrups out of his daiquiris. There are many recipes for this drink, some with more lime than grapefruit, some with more Maraschino (which can take over a drink as easily as diesel fuel); I’ve even seen some with dark rum. Chill cocktail glass of your choice by filling with shaved ice and water. Shake all ingredients. Strain cocktail glass. Then strain into ice-filled glass, if not filled add more shaved ice.